7 Unexpected Fashion Items With Gingham Style! – Style Dr.
7 Unexpected Fashion Items With Gingham Style! Cheers to Gingham style! Each time I hear or see the word, Gingham, I immediately think of the catchy song, Gangnam Style! Haha! Gingham is a strong print and is the focus of whatever item you decide to pair it with, perhaps a solid print! The print reminds me of spring, warmer weather and for some reason, flowers! Perhaps it’s because Spring is on the horizon! Let’s explore the many styles of gingham print! Enjoy! The Diane Von Furstenberg Vera Mixed Print Gingham High Heels are quite the mixed print of perfection! I love how the heel adds a little edge to the sweet look! I can always appreciate an unexpected combo to step into the day! 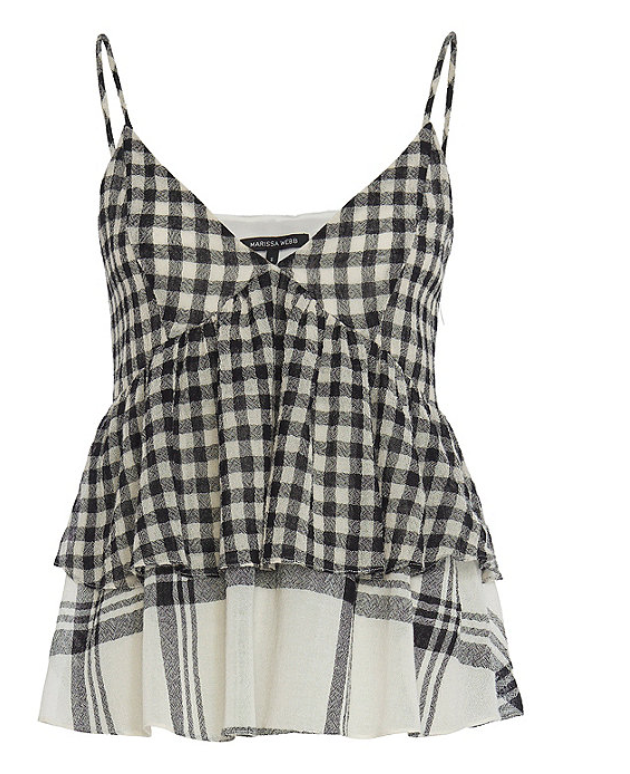 The Marissa Web Gingham & Plaid Cami Top is perfect for spring as it mix & matches gingham with plaid in the best way! Imagine pairing the top with cute cut-off denim shorts or skinny jeans and black heels for a more dressed up look or for a relaxed look, wear espadrilles! 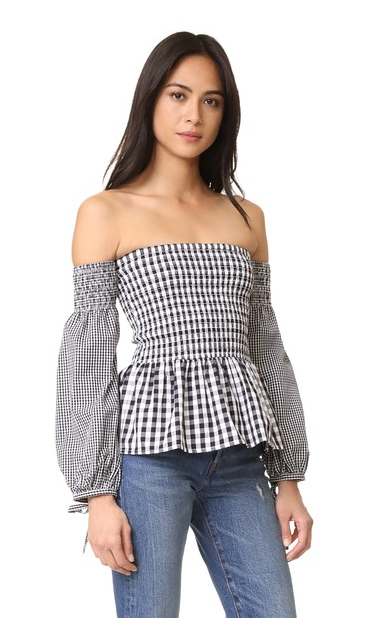 The Brigitte Long Sleeve Shoulder Top is a unique piece & an excellent combo of different sized gingham prints! The balloon sleeves are perfectly feminine with cute tied bows at the end! The top is definitely a conversation piece and stands out in the crowd! 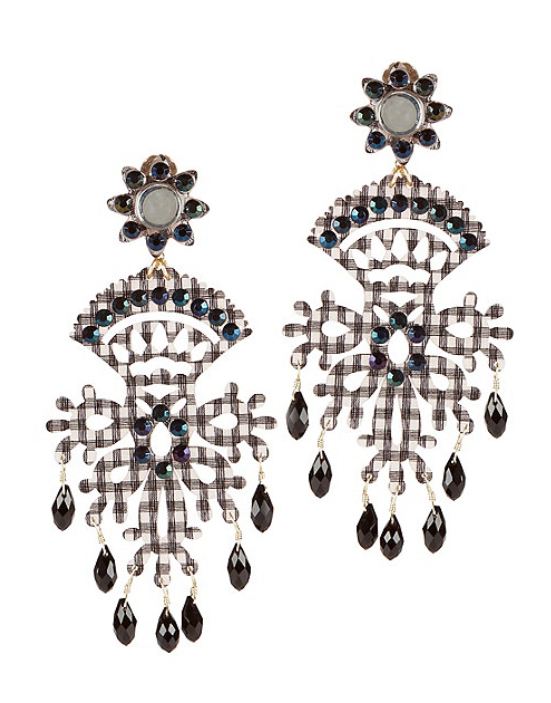 The Beaded Gingham Earrings are unexpected and quite the eye-catcher, a unique piece to decorate your ears in all of it’s chandelier earring glory! The Gingham Bikini Set is a showstopper! It’s not only about the print, but it’s all about the details! The capped sleeves, tie in the center and peekaboo sides on the bikini bottom will rule the beach, such a pretty & feminine look! The Black Gingham Button Up Top is buttoned-up to perfection, complete with a pretty bow & puffed up sleeves to match! 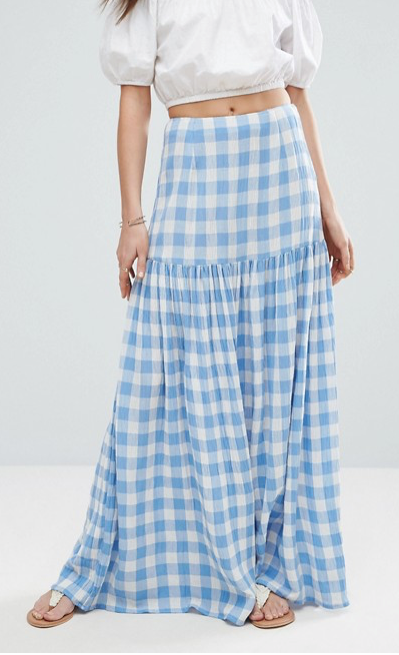 The Asos High Waisted Gingham Maxi Skirt is great for a walk on the beach as you go with the flow of the day, such a relaxed look! ‹ PreviousLet The Sunshine In: Spring Into the Yellow Trend! Next ›Shades of Pretty in Pink!